The trial of the senior Pakistan Muslim League leader Moonis Elahi finally came to an end on Friday, October 21, 2011 when Lahore District and Sessions Judge Mujahid Mustaqeem finding Moonis Elahi innocent of all the charges brought up by the Federal Investigation Agency, honourably acquitted him in the NICL case. Elahi’s supporters present in the court were jubilant over the announcement. The court’s order read that the prosecution had to establish the charges with cogent and overwhelming evidence, and convictions could not be based on mere presumptions. In an 11-page decision the judge held that Moonis Elahi was not nominated in the First Information Report (FIR) and that all the prosecution witnesses had turned hostile and not uttered a single word against Moonis Elahi in their statements. The court added that the confessional statements of the two other individuals accused in the case had no bearing on the acquittal decision of Moonis Elahi. Mere confession of an accused cannot be used against his co-accused for passing a conviction, unless it is corroborated with independent evidence, read the court’s order. Moonis Elahi was now free to walk away from the court room. His decision of returning to Pakistan and facing all accusations had on this day been vindicated. In the absence of an extradition treaty between Pakistan and England, nothing could have forced Moonis Elahi to return. Yet, he came back. He didn’t ask for clemency or any kind of leniency from the country’s judiciary. He only asked for his right to plead his innocence. 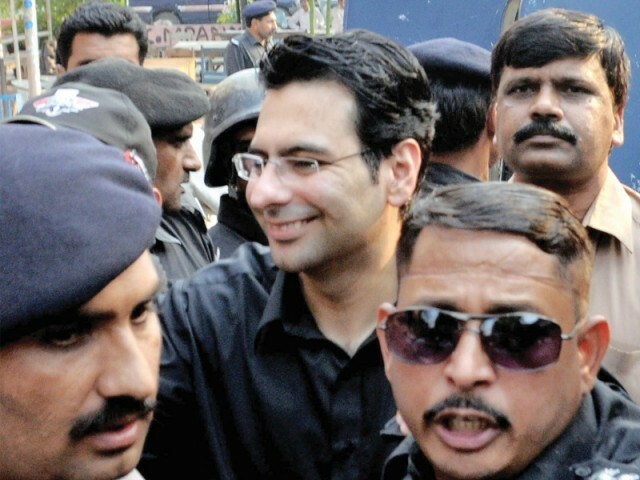 Surrounded by his supporters after acquittal, Moonis Elahi was wearing that same smile he had worn throughout his court appearances in the last eight months. Moonis Elahi remained highly composed throughout the course of his trial. There were days when the mood of the court was extremely abrasive and the prosecution would try to hurl all kinds of false accusations at him, but Moonis Elahi never resigned to such odds. He never abandoned his struggle. Moonis Elahi’s release had certainly reinvigorated the workers and they had every reason to celebrate a much required morale boosting outcome of the case where their favourite leader had been falsely implicated. Even his worst critics admit that Moonis Elahi will in times to come be the force to reunite the currently balkanised Pakistan Muslim League and rid it of the undemocratic elements. And on that day, when after a legal struggle where Moonis Elahi embraced all difficulties to prove his innocence, the result had undoubtedly reinforced the workers’ loyalty and trust for their leader. It was indeed the culmination of a brave struggle. The writer is Ch Pervez Elahi’s media coordinator. The outcome of this case was a travesty of justice. If this judge was sitting in England the three cricket players would have been also declared innocent against the majority decision of 10 to 2 of an independent jury comprising of 12 common men and women. In the case of Moonis Elahi the evidence was tampered, the witnesses quietened and he briskly shifted out of Pakistan to England to his in laws. All prosecution witnesses turned hostile and not uttered a single word against Moonis Elahi. All witnesses, this is quite a co-incidence. Does the writer of this article think that his readers lack common sense? "In an 11-page decision the judge held that Moonis Elahi was not nominated in the First Information Report (FIR) and that all the prosecution witnesses had turned hostile and not uttered a single word against Moonis Elahi in their statements." "The court added that the confessional statements of the two other individuals accused in the case had no bearing on the acquittal decision of Moonis Elahi." Give up Mr Ali (Rizwan Mumtaz Ali). A RETRIAL IS IN ORDER. THIS WILL TAKE PLACE IN GOOD TIME. Absolutely right. The case needs retrial with all fairness and impartiality. Otherwise, we all will rob this country and get acquitted. The only purpose of PML-Q to join PPP was acquittal of Moonis. All tactics were used to acquire this target. If they took no action against Makhdoom Amin Fahim, in similar NILC scam, then this is also no surprise. We are promoting culture of corruption. We are on self-destruction path – thanks to the greed of these morally corrupt so-called leaders. It is not only politicians, but all in the helm of power. All are prone to loot and plunder. I presume the matter is still pending before the Supreme Court and thus to publish such a biased article in favour of an accused, particulalry when under dubious circumstances all the witnesses recounted their earlier statements, may tantamount to contempt of Court. I appreciate that Moonis Elahi fought this case with bravery. His conduct of coming back to Pakistan and face the trial is exemplary for all other politicians of Pakistan. We should all give credit to him for that effort. I hope others will follow this example. This is like making a mockery of the system. People who used to call others murderers and security threats are sharing the bounties of power. Consequently, corrupt people like Moonis Elahi are allowed to go scot free by short circuiting the system ! all dathem shd face this legal actions… inluding all corrupt politicians like him….!! Moonis, as reported in the press was released by the judge because of lack of any evidence against him. So what’s so wrong about this? I think that Zafar Qureshi was only playing to the gallery and there was actually no case against Moonis. I have been watching Moonis Elahi on television since his arrest. I saw him voluntarily turning himself in. He looked very calm and composed. Then during the trial, I saw that he always wore a very pleasant smile. I watched him after his acquittal and I saw the same smiling man. Hey guys, just stop your unnecessary criticism on the guy and appreciate his steadfastness and courage. He didn’t run away like the Shariffs and others. The only thing it proves is that we have long way to go for a real independent and courageous judiciary….! Moonis Elahi critics overlook the fact that he is the only politician in our country’s political history who didn’t run away from the law and instead of the asylum seeking lot he decided to face the law. He by returning from England and courting arrest and going through all the travails in the case has earned the respect of the youth. I agree with Muhammad Usman. He’s absolutely right. Moonis is the only politician who has shown his faith in the Pakistani system of justice. Unlike the Shariffs who pretend to be great champions of justice yet their scion Hamza is seen blowing the law to smithereens to cover up for his nikah with Ayesha. Moonis didn’t do anything of the sort. Shabash Moonis the Law Abider. Shahzad Faisal is absolutely right. We should give Moonis his deserved accolades for facing the trial like a brave man. If he had stayed in England then I would have been his No 1 critic. Guys, guys, guys, don’t forget. Moonis is a Jatt. Jatts are a brave people and Moonis has just proven it. Who says the judiciary has failed? Moonis Elahi’s acquittal decision is a living proof of the independence and neutrality of the judiciary. We should look at it as an end of a case which was based on fabrications with no concrete reality against Moonis. mae Moonis Elahi ki favour just iss liye ker raha hun ke iss ne mulk se bhagny ki bejaye mulk mae wapis aa ker jis terah courts ke samny apni be-gunahi sabit ki iss se saaf zahir hai ke Moonis Elahi aik sacha aur pakka Pakistani hai..